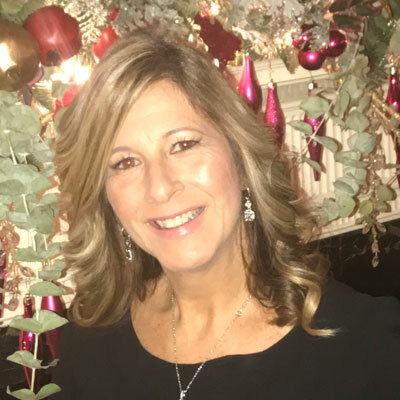 Mimi Evenson currently works at HP Inc. as a Channel Manager responsible for the development, execution and year over year growth of HPs imaging and printing partners, specifically focused on the launch of the Samsung and Pagewide A3 copier devices. She manages a team of dealer sales managers covering the great lakes, north east and south east that are responsible for increasing dealer marketshare. Mimi's passion for her people and the business has brought her industry recognition from The Cannata Report, The Imaging Channel and her peers. As a part of her role, Mimi is often at dealer association meetings like CDA, SDG, BTA, and Itex presenting HP strategy. She's been invited to sit on manufacture panels with her competitors at the MWA Executive Connection and the SDG. When not focused on hiring her team, Mimi is busy with her family. Her daughter Hannah is a senior who just finished her 4th year on the Varsity Dance Team. In the spring you can find Mimi with her husband, Mark, at the high she graduated from, cheering on her son Grant as he plays for the Varsity Lacrosse Team. In the past year I was directly associated with one of the largest product launches in HP's history. The spring of 2017, HP released a full line of A3 copier multi function devices based upon the Samsung platform and Pagewide technology. The priority go to market is sold through copier dealers throughout the world. In the US, I've been directly responsible for developing the sales and technical sales team, hiring 16 sales people, 5 technical consultants and influenced 3 manager leader positions. These positions were created specifically to support the expansion of the channel business that is required to be successful in the launch of our new products. Expansion and activation: In HP's FY17 HP recruited over 50 new partners to support the launch. The focus now for them is activation, execution and YOY growth. All while activating, the teams will be busy expanding to include another 100 partners. Work streams are happening to identity those new partners with active recruiting. Emma Gonzalez: I'm truly inspired by this young woman. Regardless of the controversial 2nd amendment views, Emma stepped up and started a movement in the days after the horrific shooting in Parkland, Florida. During the CNN town hall, she and the other students presented themselves to political leaders with thought, passion, and thoughtful views and ideas. I believe that this generation of youth with the support of their parents together will band together as two large generations to effect change and policy. Bravo Emma! At 16 years of age, it's easy to get caught up in the now . My advice would be, to keep looking ahead. Forget about what your friends did last week, that's in the past. Focus on the future by learning from the experiences in the past and using them to shape the outcome of a future success. An electrical engineer: Over the past several years being directly attached to a new product launch, I've been able to witness the process and precision of our engineers. Their skills directly affect the products and services that ultimately become the epicenter of the revenue of the company. To me, that's pretty cool. Get Over your Damn Self - The No BS Blueprint to Building a Life Changing Business by Romi Neustadt. This non nonsense book is focused on network marketing, which is a different sales business than what I currently do. That was the attraction, to learn about different go to market strategies and businesses. To my surprise, the catch phrases had me laughing out loud and I caught myself saying "YES" as I quickly read page to page. Great read!